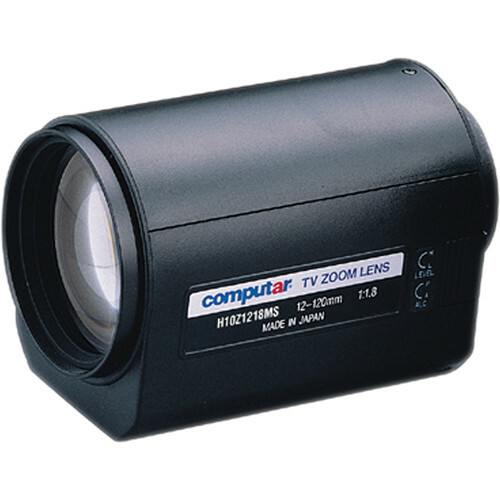 The computar H10Z1218MS 1/2" with 3 Motors and Spot Lens (12-120mm) provides remote control of focal length, iris, and focus through the use of a lens controller, for use where variable focal length and remote control are required. They are ideal for applications requiring long distance surveillance in parking lots, highways, etc. Box Dimensions (LxWxH) 7.0 x 6.0 x 4.1"